A moisture-generating cleansing and make-up removing milk for dehydrated and sensitive skin. Can be used on the face by adults and teens. Use morning and evening by soaking a cotton pad and cleansing your face and eyes. Every day, pollution, stress, cold weather, etc. disrupt the skin’s cellular activity. As a result, it becomes dehydrated, tight and uncomfortable and loses its radiance. 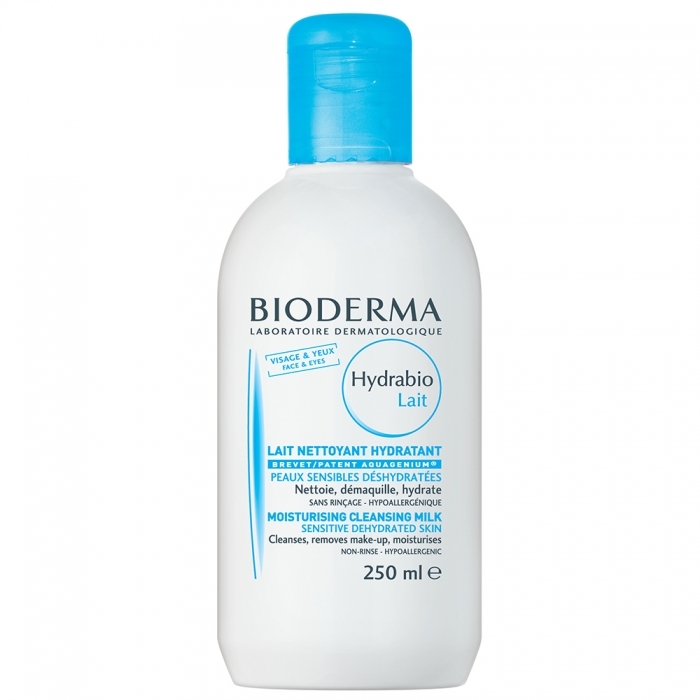 Developed in the Bioderma Research laboratories, the Aquagenium biological patent found in Hydrabio Lait retrains the skin to activate its natural moisturising capacities by stimulating the production of aquaporins, water channels in the skin, and retain the water it needs to be balanced.